If acute or chronic pain has sidelined you from living your best life, you’ve come to the right place. 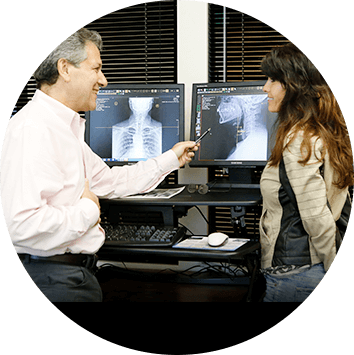 Since 1978, Mission Viejo Chiropractor Dr. Jan Teitelbaum has been committed to getting patients out of pain and restoring their function and well-being. 20,000 patients seen and 300,000 adjustments performed! At Teitelbaum Chiropractic, we want to help resolve your problem so you can feel better. At our friendly and casual office, we also are passionate about helping you and every member of your family enjoy the best health possible, naturally. From a 10-hour-old baby to a 99-year-old, patients of all ages can benefit from safe, natural and effective chiropractic care. Over his decades in practice, Dr. Jan has developed considerable expertise in using a variety of chiropractic techniques to get his patients excellent results. You’ll never receive the same adjustment at every visit. Dr. Jan will custom-tailor your care so that your condition and health will continue to improve. Dr. Jan will get you out of pain. He will then get you on the path of healing. After that you are welcome to return when you deem it necessary. He will tell you how he sees it and you can decide if you want to continue care — without any pressure. If you’d like to put pain behind you and move forward on a path to the best possible health, we invite you to make an appointment with Chiropractor Mission Viejo Dr. Jan today. We’re open six days a week for your convenience. Chiropractor Dr. Jan Teitelbaum is passionate about providing patients with customized chiropractic solutions that get results! He believes that movement is the fountain of youth and wants to help every patient feel their best.